The Tour de France continues to capture the imagination of Sheffield! Two sculptors, Robin Widdowson and Sara Bevan, are working on a project to erect a temporary sculpture in Worrall during Le Tour but to then replace it with a permanent legacy piece after the event. 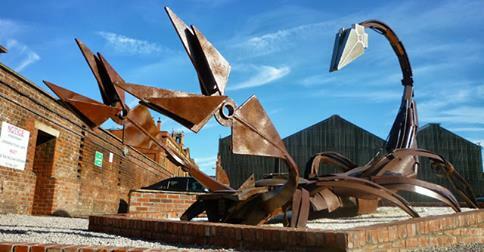 Robin and Sara were behind the now famous Scorpion sculpture outside Forgemasters. Follow the link to view the construction process of the amazing Scorpion!